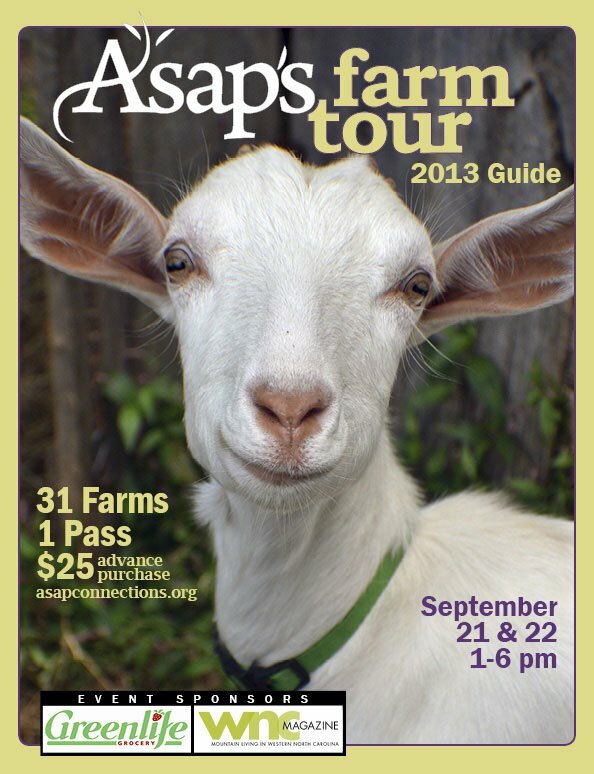 Join ASAP for our annual Farm Tour! Farm to School doesn’t have to stop at the school garden, classroom, or cafeteria! On September 21 and 22, ASAP is offering a hands-on continuation of the lessons your child or children have been learning in school during their annual Farm Tour. This year, 31 farms are participating in counties across WNC: Buncombe, Haywood, Henderson, Madison, McDowell, and Yancey. The tour runs 1-6 pm Saturday and Sunday, and one pass admits an entire carload of family and friends into all farms both days. Farms will serve up samples of their farm-fresh products, talk about what it takes to grow food and raise livestock, open their barns and pastures so that children can interact with their animals, and lots more. Passes are $25 in advance. For more information about the tour and to purchase a pass online, visit www.asapconnections.org. Next post: Apply for a Farm to School Month/Food Day planning grant!